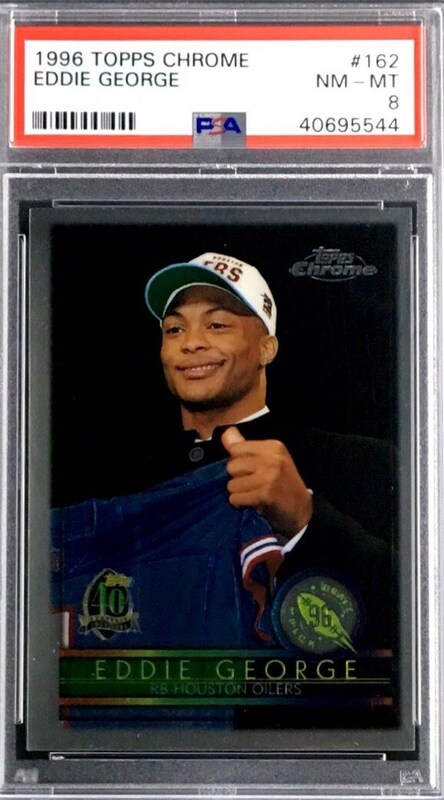 Up for your consideration is a 1996 Topps Chrome #162 Eddie George Rookie card. George tallied 10,441 rushing yards in a distinguished NFL career. 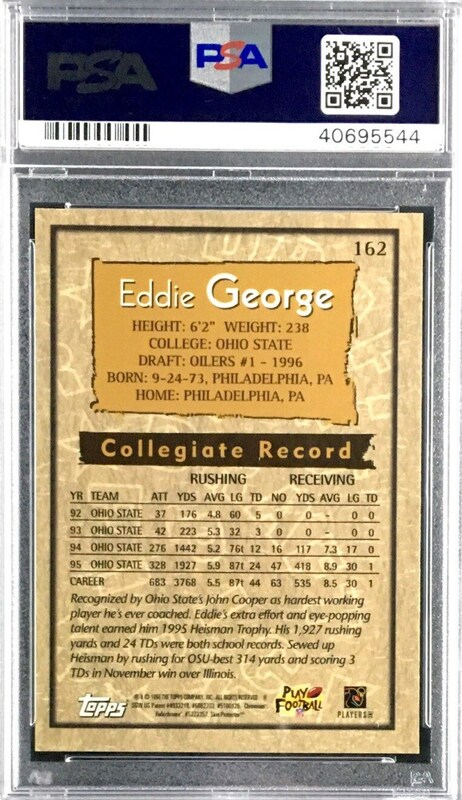 Offered here is one of his top Rookie cards. The card has been graded a Near Mint PSA 8.